in one convenient form. Each report covers the complete overview of the country – including the history of the industry, sector division, associations, types of opportunities, etc. Completely covers the country. The report completely covers the sector. No need to search multiple sources for information. Keep up to date easily and quickly. Be the first to connect to an opportunity! Covers all sectors of Lifesciences � Biotechnology, Pharmaceuticals, Agriculture, Veterinary, Fisheries and BioFuels. Science is interconnected and interdependent. Then why shouldn�t reporting be? Read reports that truly consider the science for what it is � an interdisciplinary approach. In a PDF format. Reports delivered to you in your inbox. Print them as many times as you want! Or print � just what you want! No longer heavy out-of-date reports being shipped to you. Green on the environment too! Economical. Prices drastically lower than almost ANY other similar report in the market. You can�t get better value for money. Well researched by experienced analysts. The best analyst teams � usually Masters or PhDs in a lifesciences field � author these reports. You cant get better than that. Recommended by the industry. The reports are recommended by most industry bodies and associations. And they wouldn�t just back anyone! Interested in Austria as an investment destination? 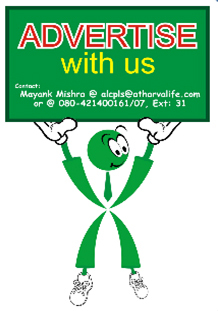 Here�s another Atharva GloLife report to make it easier for you! Happy Investing! Canada�s position as a biotechnology leader�one of the top five countries in the world. Connect with Canada with a Atharva Lifesciences GloLife Report! Lifesciences in the Czech Republic has become increasingly prominent over the past decade while bringing forth possible applications in a wide range of other, related sectors such as healthcare, agriculture and industry. Conscious of this development, the Czech Republic, through a Government Decree in 2005, set molecular genetics and biotechnologies among the priority areas in the long-term, fundamental direction of research. Understand the Czech Repoblic, with an Atharva GloLife Report. Denmark has the third-largest commercial drug-development pipeline in Europe in absolute numbers and is second in Europe on the European Commission�s Biotechnology Innovation Scoreboard. Investment in Danish biotechnology has reached more than EUR 3.8 billion � the second largest in Europe. Finland is biotech country. Fish and forests abound � apart from mobile phones! The sector has evolved well because of good government support and private funding. Multiple biotech clusters are now established in Finland. France allocates 7% of its GDP to education, 9% to healthcare and 2% to research. Over the last twenty years, France has become a major player in the European biotechnology sector. The Greek Life Sciences sector demonstrates a strong growth during the last decade. The report aims to inform about the sector�s growing prospects for investment and business development. Hungary was the first country to produce vitamin B12 at an industrial level. Discover Lifesciences in Hungary with and Atharva GloLife report! A large part of India�s attractiveness stems from the sheer size of its demographics. According to estimates 65 percent of the market is virtually untapped because the current infrastructure is good only to reach 30 to 35 percent of the population. While the future looks bright, the challenges remain varied. From lack of clarity in terms of what is patentable, to infrastructure and policy issues, the journey to success is fraught with obstacles. Understand India, With an Atharva GloLife report! Ireland and science are almost synonymous with Ireland having a long history of science development and innovation. Today, Ireland has over 170 bio � pharma companies employing 35,000 people in the in the pharmaceutical/ chemical, biopharmaceuticals, medical devices and diagnostics sectors and is the European home to such household names as Johnson & Johnson, Pfizer, Wyeth, Schering Plough, Bristol Meyers Squibb and Genzyme. Explore Lifesciences in Ireland with an Atharva GloLife Report! Israel is home to a thriving Life Sciences industry in which the major sectors are Medical Devices and BioPharma. Over the last 5 years,more companies were established in life sciences than in any other sector, with the rate of investments (including Angels, Venture Capital and Corporate) greatly outpacing all other segments of the economy. Explore lifesciences in Israel with an Atharva Lifesciences report! Shalom! Italian biotech companies are able to compete outstandingly on the international market, managing to grow despite continuing difficulties in the economic situation. With 394 companies, of which 248 pure biotech, Italy is third in Europe after Germany and the United Kingdom, for the number of pure biotech companies, with a strong growth trend. Malaysia aspires to be a biotechnology hub and this is clearly spelled out in the National Biotechnology Policy that was launched on the 28th April 2005. It is estimated that by 2020, this sector would create 280,000 jobs and contribute five per cent to the country�s Gross Domestic Product. Explore Lifesciences in Malaysia with a Atharva GloLife Report! The Mexican Economy Ministry estimates the domestic market for products of biotechnological origin to be approximately US$1 billion with strong growth potential. Mexico has quietly been building up its biotechnology industry in recent years. Mexico is a lifesciences oppurtunity. Understand Mexico now with a Atharva GloLife Report! The Dutch �red� biotech sector, is rising higher in the international rankings of the top clusters. A large number of companies in the Netherlands are active in this sector and the number of private investments by venture capitalists are increasing. The Netherlands is home to multiple partnerships in biotechnology in which the public and private sector work together towards a bio-based economy by translating knowledge into innovation. Public parties work on disciplines like microbial genomics, catalysis and process technology. Understand the Dutch, with a Atharva GloLife Report! New Zealand has one of the fastest growing biotech industries the world. Apart from BioPharma, New Zealand�s geographic isolation and strict quarantine standards contribute to the best animal health rating in the world, uniquely positioning the country as a global leader in agricultural biotechnology research and application. Russia is advancing rapidly. It recently successfully completed the first stage of clinical trials of an HIV vaccine. The State Research Center for Virology and Biotechnology, Vektor, completed the first stage of clinical trials of the HIV vaccine. Discover Lifesciences in Russia with a Atharva GloLife report! Spain has a long tradition of scientific excellence, particularly in the life sciences.In the past decade the country has focused on transforming its research into consumer-focused companies and products. Understand Spain. With an Atharva GloLife Report! Sweden has the fourth largest biotechnology industry in Europe, after Germany, the UK and France. 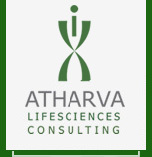 Understand Lifesciences in Sweden with an Atharva GloLife report! Taiwan is waking up to Biotechnology.In a new Biotechnology and New Pharmaceutical Development Act, companies can get a 35% tax exemption for investment in research and development into new drugs and high-end medical devices.As they become more economically developed,it is anticipated that China�s citizens will increase their spending on health and medicine, creating a biomedical and medical products industry boom. Taiwan can cash in on this. Economically, reports show that Thailand will be the eighth largest economy in the Asia Pacific region by 2016. Real GDP growth is projected to increase in the forecast period, reaching 7.1% by 2016. Demographically, the EIU projects an annual growth rate of around 0.7% and the population to be the ninth largest in the Asia Pacific region by 2016. The elderly population is rising; Thailand is expected to have the eighth highest proportion in the Asia Pacific region. Turkey has been researching and investing in biotechnology for almost four decades. The term biotechnology first appeared in the programs of the Scientific and Technological Research Council of Turkey (T�BİTAK) in 1982. The State Planning Organization (SPO) in 1988 defined biotechnology and the scientific fields. Discover Turkey with an Atharva GloLife report! In the quarter of a century since biotechnology first became a commercial proposition, the industry has gone through a continuous ferment of change and reinvention. Having started in the late 1970s with fewer than a handful of companies, the North American biotech business has grown to a behemoth that consists of more than 1,280 companies, with market capitalization exceeding $200 billion. UAE is promoting its domestic pharmaceutical industry as a major emerging force in the Gulf and Arab markets. These efforts are likely to take the UAE �s domestic drugs industry to the next level, where it can compete with the foreign participants in the gulf and African region markets. The pharmaceutical and Biotech market in the UAE was expected to reach more than $1 billion in 2009 end and will expand at a compound annual growth rate (CAGR) of over 15% in next few years. The UK life sciences market is among the strongest and fastest-growing in the world. Biotechnology, healthcare and pharmaceutical industries in the UK have an outstanding track record in drug discovery, a strong academic base and increasing Government support for R&D through investment and tax credits.